Where did we go wrong? Why has starvation, suicide and poverty become the norm? More sanctions.. sanctions kill. 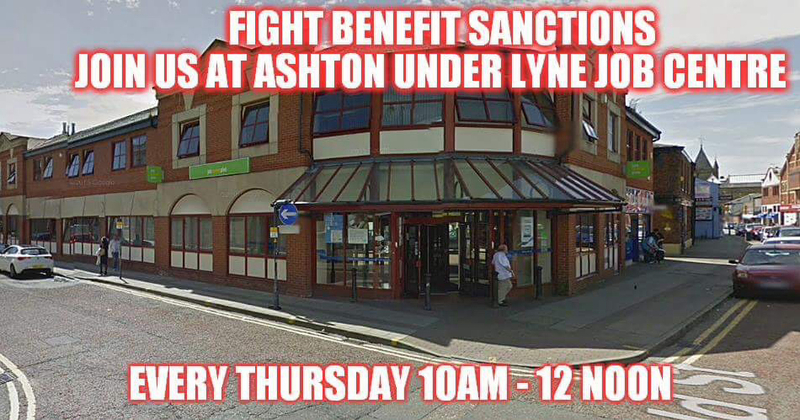 As you know every week we hold a demonstration outside Ashton Under Lyne Jobcentre. We believe that the cruel sanctioning and the cruel benefit reforms that are affecting thousands of people up and down the country everyday. Once you start hearing the real stories and the way that they are affecting people in your local community you cant help but feel their pain in some way. Sometimes we cry whilst we are being told of a persons death, sometimes we go home and cry. Today was one of those days. I woke up wanting to change things, but sadly realised that I cant change much apart from peoples minds once they read my blog. I opened my emails and read some stories that have been sent to me, They want their news to be shared but sadly not always their names. You see they feel victimised already and don’t want to be persecuted anymore. Here are a few of their stories. Please read and share. My son who has Asperger’s but is high functioning was sanctioned for staying at his girlfriends house for 1 night, she lives a hour away. He was always available for work, always contactable and fulfilled his job search obligations. He was told that he wasn’t allowed a break from home and should have submitted a holiday form!! He only mentioned the overnight stay off the cuff he didn’t realise that he wasn’t allowed to stay out for one night. He was told by telephone after the appointment that he would loose a months money, As a result he now has to travel 14 miles a day on a bus to sign on everyday. This is not helping him to find a job. He has a disability advisor but he is treated like a person without issues. I was diagnosed with COPD four years ago. My condition has got worse and I’m down to 20% lung function and I’m unable to walk 100 metres. I have trouble climbing stairs but ATOS has declared me fit for work every year. I’ve won two appeals to get my ESA reinstated. I was placed on the work programme under WRAG and last march I was sanctioned for failing to attend an interview. I live alone, had no one to phone on my behalf and had an abscess the size of a golf ball preventing me from speaking. When I tried to call they hung up on me. I filled out the relevant forms and was sanctioned for three months. I was threatened with eviction until I went to my local housing and declared my zero income status. I had to claim JSA until my appeal and was told again that I was fit for work. It didn’t matter about my obvious disabilities. They ruined my life. My sister had an appointment for a Saturday morning when they wernt open. She went doen anyway, the building was all shut up and she took photos of it. They said that they were open for appointments but had to phone to get in. No number was given, no notice was up to see this and no one was there to unlock doors. She was sanctioned. How can this be right? These are just a few of my emails. This government are committing crimes against humanity on a daily basis and we need this to stop. Please help me and join the fight against this evil regieme. Sanctions and the charity shop. Sanctioned for making a spelling mistake. reblogged but to be honest I don’t think the Government cares.To them we are invisible and expendable.We are not cute like baby seals nor seen as voters.In my experience it is we the poor that need to stick together and help each other.Even otherwise niece kind people tend to harbour serious prejudice against poor people because they simply do not believe that it can happen to anyone.They think it must be a flaw of some kind in the person itself.Sadly true understanding often comes when they find themselves fallen on hard times,too late. Very true but we have to keep trying to find some kind of conscience. I encountered a terrible amount of prejudice last week from people that I would never expect it from. 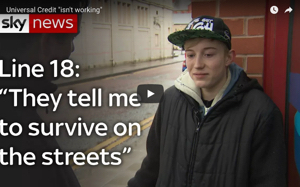 Needless to say when they hit hard times they will want advice and sympathy. And course the government doesn’t care. We are just numbers in the way of their shareholding friends to make profits. The Liberal Democrats claim that they entered Coalition to build a fairer society. If they were serious about building a fairer society they would not have allowed the selection of Iain Duncan Smith as its architect. Iain Duncan Smith, the man ousted by the Conservatives as leader in a vote of no confidence. The Conservatives had not confidence in him yet expect us to have confidence in him with our social security. I have been critical of many a government before but this Coalition is the first government I have been scared of. It’s the Liberal Democrats that made this possible. Hopefully in May 2015 a lot of Lib Dems will lose their jobs. I think we should reject the term unemployed and use the term job shortages instead. Unemployed implies there are jobs to go to and it is therefore the unemployed persons fault. Job shortage describes the situation more accurately and points the finger of blame at the government – the people actually responsible. The excellent Benefits and Work website has come up with a cunning plan, that has shown up that the poor indeed have the power for a SYRIZA type landslide win for the poor in 2015 general election. We are told that voting does not matter. Well it does, for all that Russell Brand says. because there is a means in this election to change government utterly. All the big parties are small. No party will get enough MPs to form a government on their own. If different parties have won in marginals, then they will be ‘kingmakers’ in a coalition and we could have a rainbow coalition in Westminster of Scottish National Party, Plaid Cymru, and England left wing parties that are the sole parties for the poor iin the UK. See how on me personal website. And if you are one of these little parties, look to put out candidates in these marginals. Then campaign telling claimants they outnumber the votes gained by the big party sitting MP by riding around on your bike with a poster in tow past the Jobcentres (daily sign ons after all), foodbanks, up and down the high street (bikes can in pedestrianised town centres) and past the hospitals and GPs. Because the poor, all ages, well or disabled / chronic sick, now outnumber all other voters left. end the cruel benefits regime, shut the 750 Jobcentres being so cruel to so many, and save lives of all ages.